Ailanthus altissima, Tree-of-Heaven, Stinking Sumac. Photo by James Gaither. I was recently looking through a book called Nonnative Invasive Plants of Southern Forests given to me by a friend at a local park system. The book was published in 2003 by the US Department of Agriculture, so new plants may have become invasive since then and others may have become less invasive, but I think the book is still a good primer on what not to plant if you live in the Southeast. Why is planting potentially-invasive exotic plants a Bad Idea? Sometimes, exotic plants (those that have recently been imported to an ecosystem within the last century or two) lack any natural "predators" (i.e. diseases or insects) to keep them under control. If the exotics are particularly fertile, they can overwhelm local ecosystems, wreck biodiversity and often cause havoc for local fauna that may not be able to gain any value from the invaders. 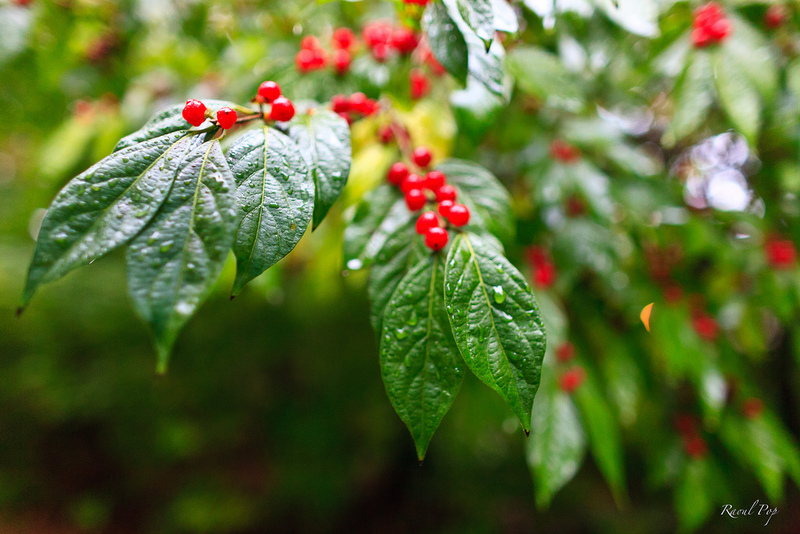 In other words, a plant that resists deer and rabbits may be perfect for your yard, but if it becomes widespread in the woods and animals can't eat it, then they could starve. At least, that's my understanding of the problem. I'm not going to make any blanket statements here saying you should never, ever, ever plant any of these plants. (Although Taylor Swift would probably say something like that.) We all have to use our own judgment. But I prefer to err on the side of caution. Nature is already being assaulted from so many angles by humans, I'd rather not contribute to the problem. So if you see any of these being sold in local nurseries, perhaps talk with the owner about whether he/she might be willing to stop carrying these plants. And perhaps you can consider volunteering to remove exotics from our local forests. Note - Invasiveness typically varies dramatically according to climate and other factors. These plants are (or were in 2003) considered invasive in the Southeast - the Carolinas, Florida, Georgia, Tennessee, Mississippi, Louisiana, Alabama, Arkansas, Texas, Oklahoma and Kentucky. Outside of this region -- and even for certain states within this region -- some of these plants may not be invasive. But then again, there are other plants that are dreadfully invasive in California or the Southwestern deserts or the Northern plains or the Northeastern forests. So check with your local plant authorities if you live in one of those zones to get your own list of invasive plants to shun. 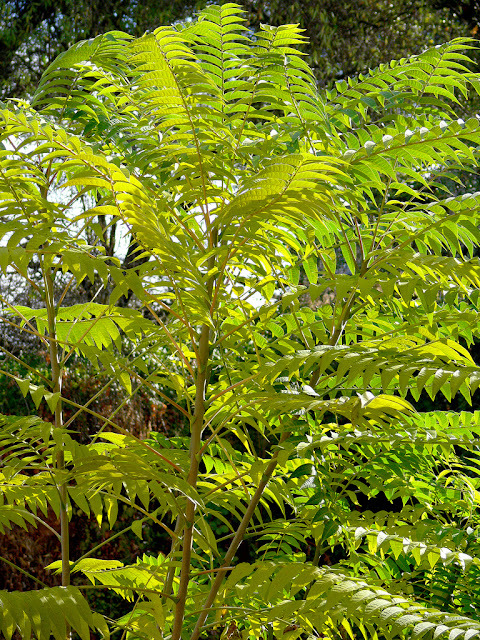 - Ailanthus altissima, Tree-of-Heaven, Stinking Sumac. Favorite Dave's Garden quote about Ailanthus altissima: "This tree is one of the most invasive weeds I have ever experienced. It literally once grew from a crack in the foundation of my house. One of them was growing into a chain link fence at the back of my home when I moved in, and I cut it down every year for 15 years and it even survived being burned with gasoline...I absolutely hate these with a passion, and they grow everywhere here." Albizia julibrissin, Silktree, Mimosa, Silky Acacia. Photo by Wendy Cutler. 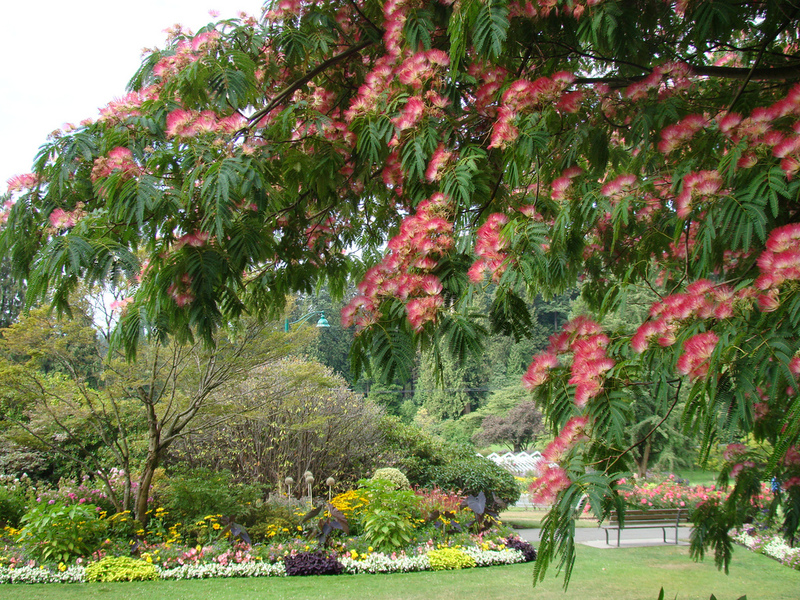 Favorite Dave's Garden quote about Albizia julibrissin: "First lightning hit it so it grew double trunks. Then ants ate it, causing one half to fall on my house. I had it removed and stump grinded and I am still pulling on little trees every summer and probably will still be at age 80 or when hell freezes over." Paulownia tomentosa, Princesstree, Royal Paulownia, Empress Tree. Photo by aethyric. "Run, run, run away from this tree! 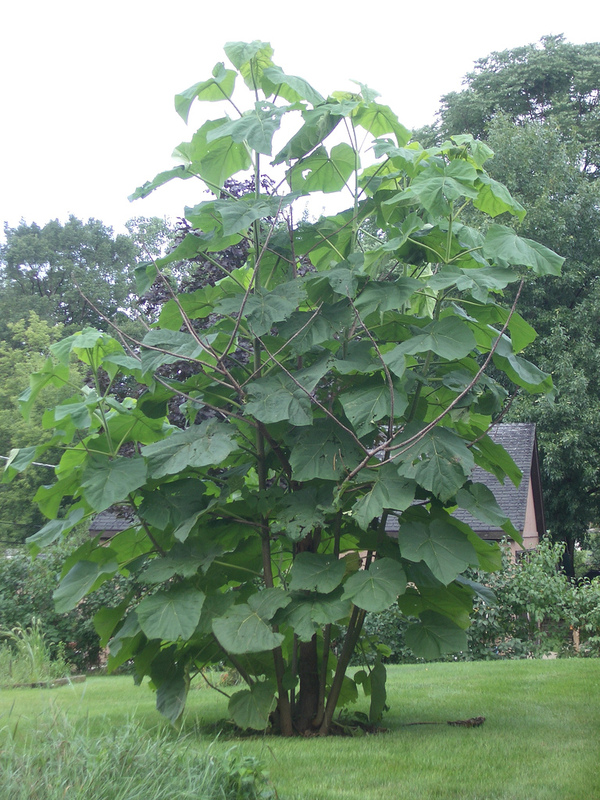 I had two ancient Paulownia tomentosas removed from the front yard of our new house in May of 2007. I had the roots ground out as deep as the largest grinder would go. The roots shoots that came up that year were horrendous- one every foot covering the entire yard. It was literally a daily chore to keep up with them- you'd cut them all then the next morning there would be another hundred of them 2 inches tall. They came up again equally as bad in 2008, all spring and summer. In 2009 they slowed down a bit on my property but began seeking new areas as I saw them in neighbor yards as well- not only on the adjoining properties but across the street as well. Spring and summer of 2010- three full years since I had the trees taken out- and I still got shoots. They slowed down considerably but I still had to cut down one or two every couple of days. They are impossible to pull. They are one tenacious tree. AND...I cut more root shoots this spring!!! Four. Full. Years. After the trees were removed. This tree is the devil!!!" 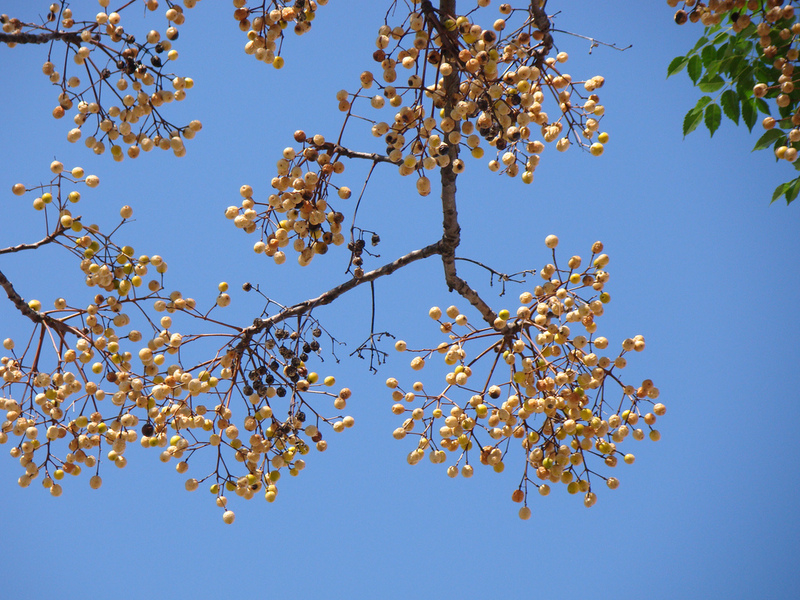 Melia azedarach, Chinaberrytree, Pride-of-India, Persian Lilac, Umbrella-Tree, Bead Tree. Photo by mauroguanandi. Favorite Dave's Garden quote about Melia azedarach: "There's nothing worse than a cluster of fruit smacking you in the head or your bare feet landing upon a mushy cluster. Doesnt get along well with high winds and throws branches throughout the year, including older branches which tend to prefer softening their landing upon the neighbors house. The messiest tree I've ever seen. Also one of the ugliest trees when all of the leaves have fallen." Triadica sebifera, Tallowtree, Popcorntree. Photo by Tatiana Gerus. Favorite Dave's Garden quote about Triadica sebifera: "I have many names for this "trash" tree, none of which I can say here. The only good thing about it is the nice fall color it gets. You cannot drive anywhere in my town without seeing forests of these in every field. The field behind our house had tons of them, and when they started to develop the area, the trees were cut down. Unfortunately, this caused millions of offshoots to creep up in our backyard...even 15 years later we are still having to cut the little trees down. AAAAAHHHH"
Favorite Dave's Garden quote about Elaeagnus angustifolia: "This tree is absolutely horrible. My neighbors have some, and every year we have to go out and kill the sprouts that have appeared on our yard. We let them get big once, and it was a definite battle to get past the thorns and cut it down." Eleagnus pungens. Photo by TommyHAGA. Euonymous alatus, Winged Burning Bush, photo by Wendy Cutler. 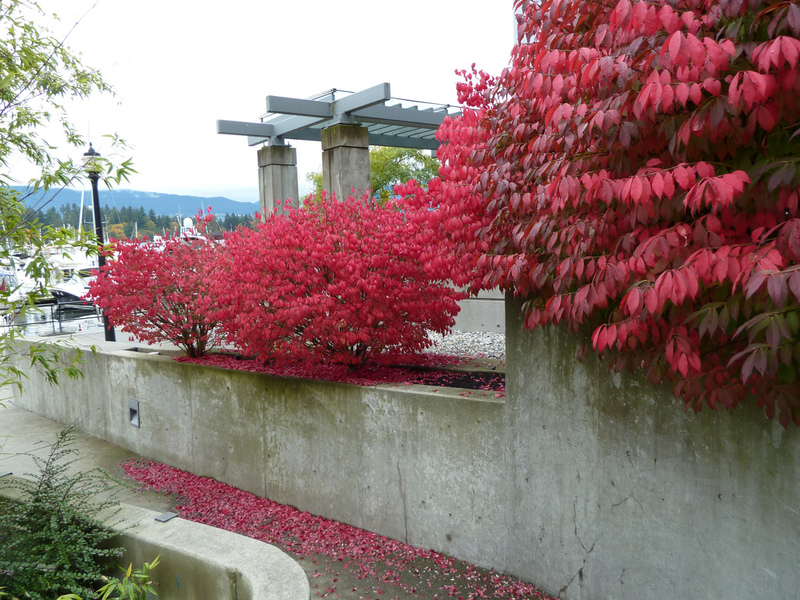 Favorite Dave's Garden quote about Euonymus alatus: "My wife planted some next to her house before we met. Now we end up pulling young ones on our daily walks around the property. They sprout up throughout our woods where you might think the leaf cover would prevent introduction. Planting this species is a great disservice to everyone around you. Intentional or not, you are deciding that they will have it too. 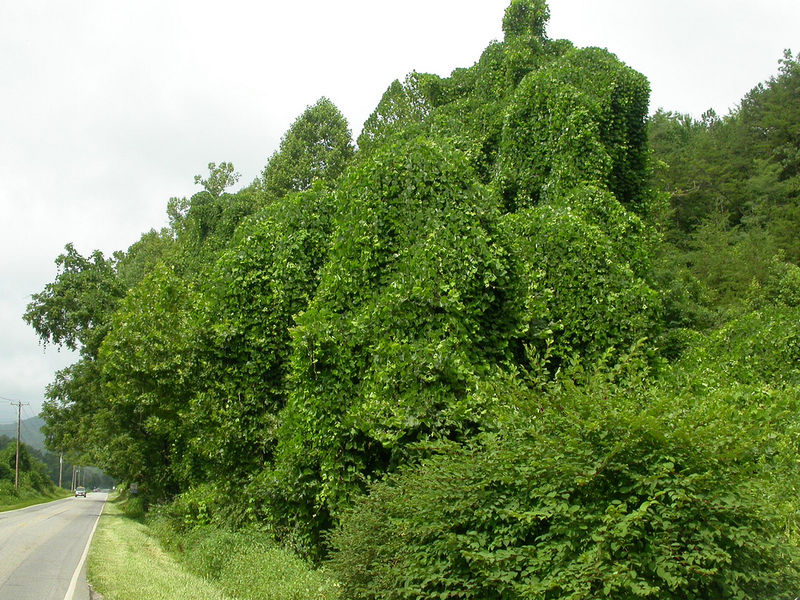 Would you thank your neighbor for planting kudzu?" 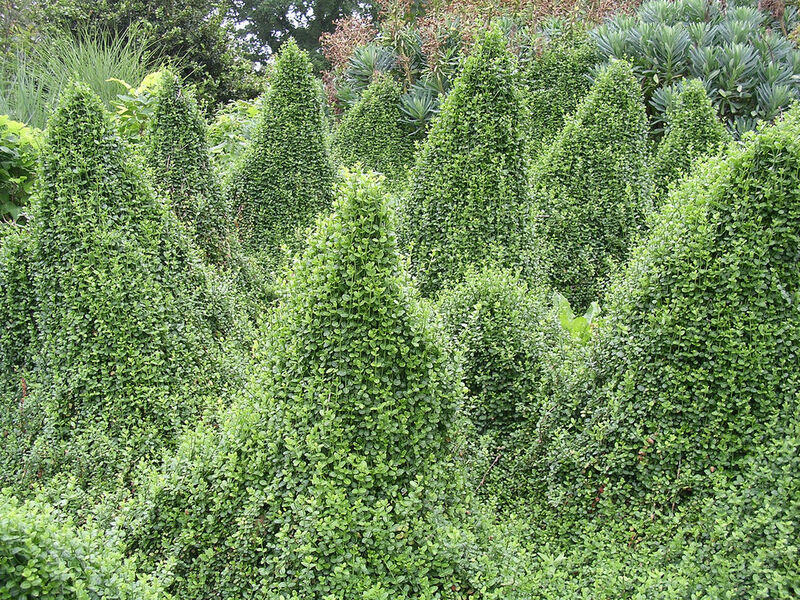 Ligustrum sinense, Chinese/European Privet, photo by Doug Beckers. Favorite Dave's Garden quote about Ligustrum sinense: "This plant is a disaster. It has almost taken over the woods behind my house. I cant cut it down fast enough. Foliar herbicides sprays do not work. The cut stump treatment is the only way to get rid of it. Small seedlings can be pulled up by hand after the ground is wet." 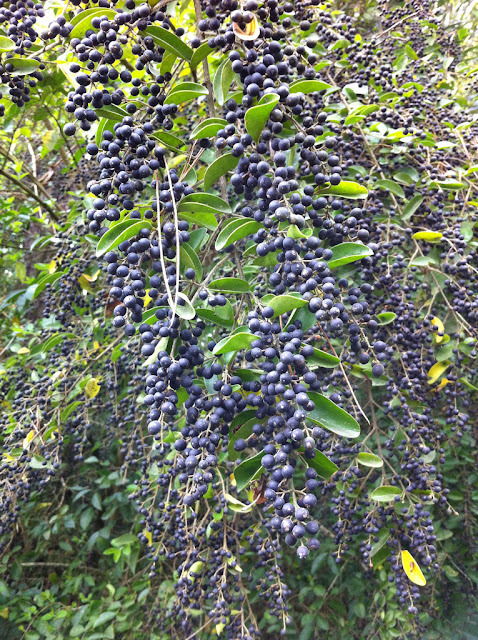 Favorite Dave's Garden quote about Ligustrum japonicum: "Like Ligustrum sinensis, this is an exotic invasive species. Wildlife disperse the seeds from its abundant drupes, which then sprout and grow with amazing vigor in Southern woodlands. 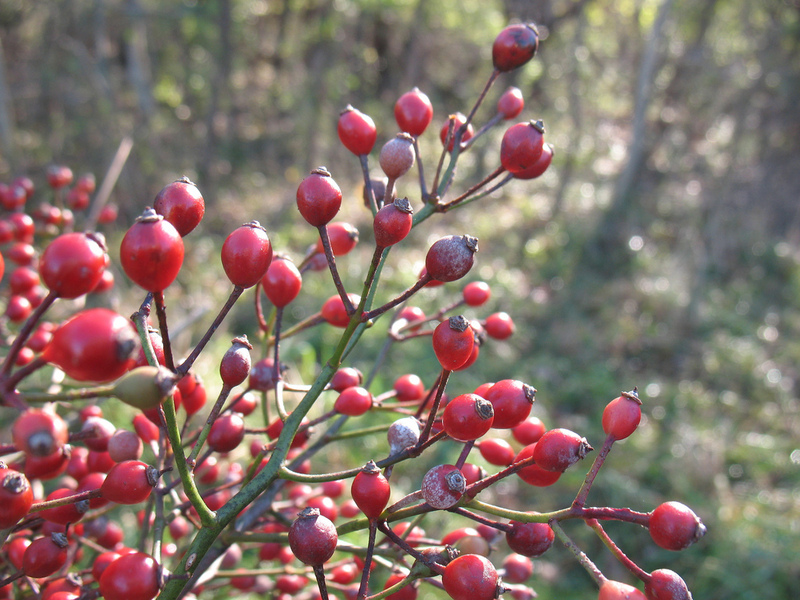 They compete with native understory plants and even suppress native hardwood regeneration. Like kudzu, it is extremely difficult to remove once it has established itself. 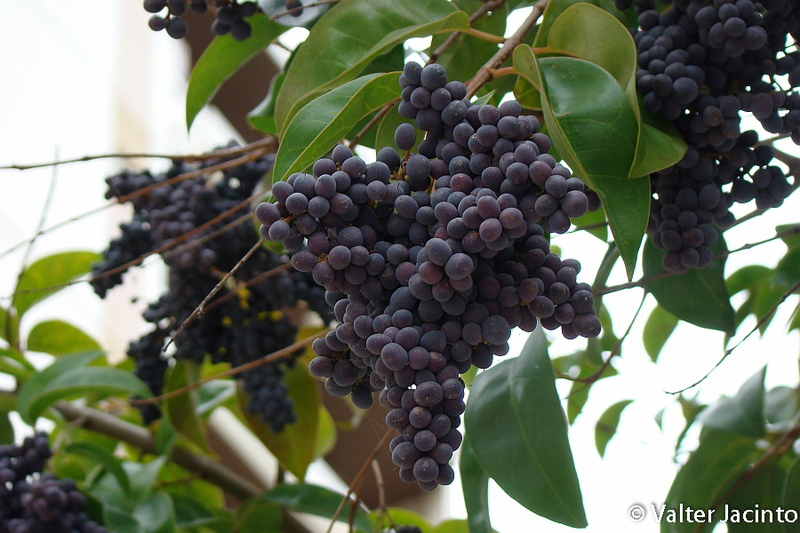 We would be better off if Ligustrum had never been imported to N America." Favorite Dave's Garden quote about Lonicera maackii: "The small to medium sized shrubs of my uniformed youth have become the shrubs of regret in my adulthood. The if-only-I-knew-thens roll off my tongue like the numerous knarled and crouching branches that, along with the various confusing forms of buckthorn, dominate the backyard border understory at my family homestead in Southwestern Ohio's Mad River Valley. They seem to bend spider-like. Woody sentries guarding the unwanted groundcovers of garlic mustard and nettles." Favorite Dave's Garden quote about Lonicera morrowii: "Native to Japan, Korea, and Northeast China, Morrow's Honeysuckle is highly invasive in the Northeast and Midwest of the United States. I am battling it like crazy in our woods in Indiana. Morrow's Honeysuckle thrives at the edges of forests, roads, or other natural or man-made barriers, but is not limited to them, and is found in both mature and disturbed forests. In some areas, Morrow's Honeysuckle is the dominant plant species, especially in areas of disturbed ecological succession. It is suspected that Lonicera morrowii is allelopathic, and may capitalize on disturbed ecological succession by establishing itself and then preventing the growth of plants underneath it. 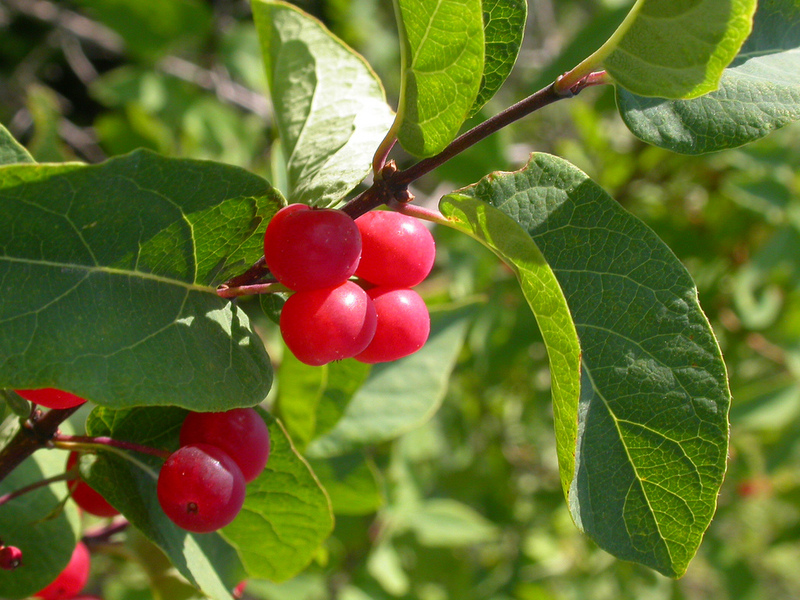 With a sufficiently established thicket of honeysuckle, even other shade-tolerant, invasive species, such as Fortune's Spindle have difficulty growing underneath it, whether due to its suspected allelopathic activity or through soil depletion. 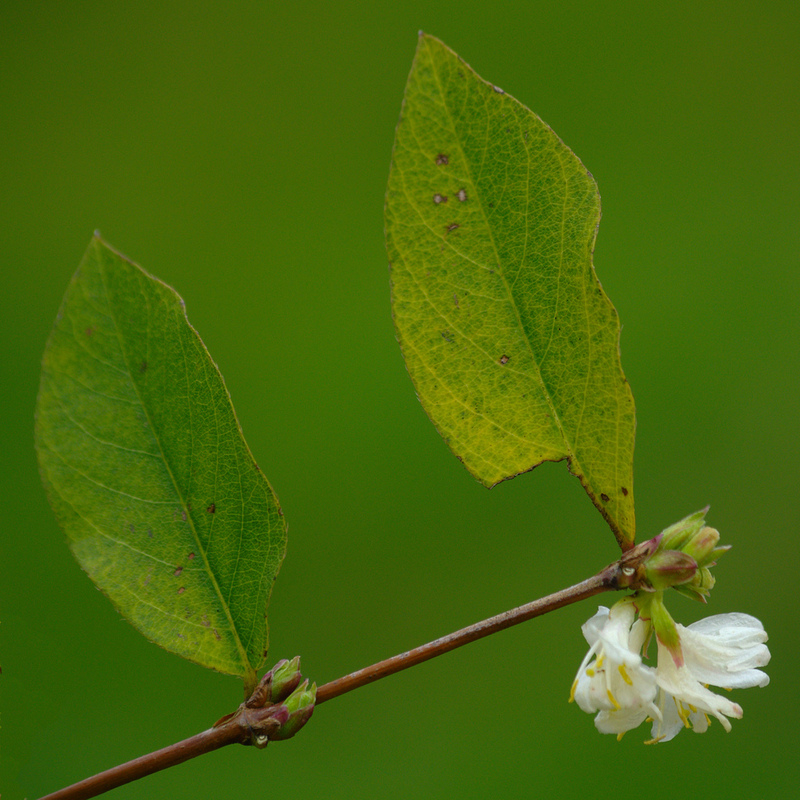 Due to its early leafing, Morrow's Honeysuckle is particularly harmful to spring ephemerals, flowers that evolved to bloom briefly in the spring before other plants leafed out. If you live in North America, please choose a native bush like Bottlebrush Buckeye, Ninebark or Black Chokecherry instead." 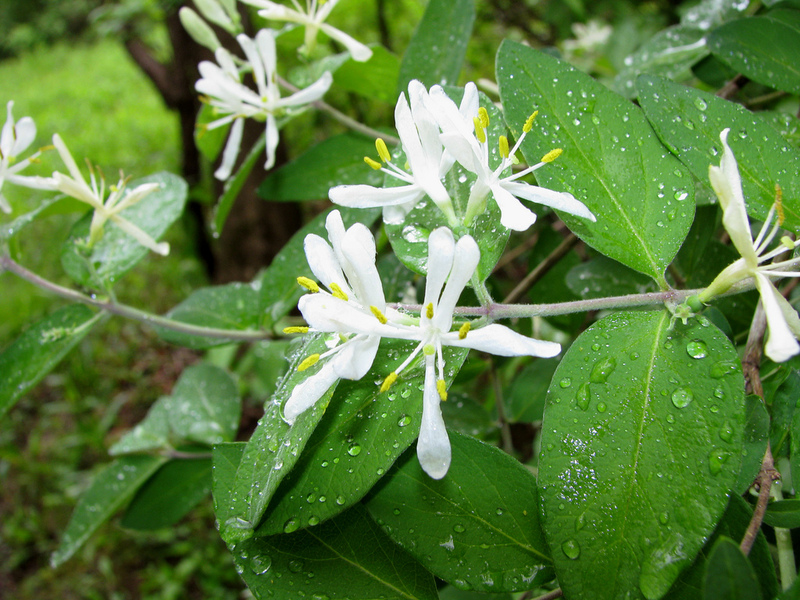 May not be as invasive as some of the other Bush Honeysuckles, at least in certain climates, but Paghat's Garden does note that "it is regarded as an invasive pest in Tennessee." I would never plant this, but if you absolutely must have it, at least make sure you buy from a respectable nursery to get a hybrid that will not produce viable seeds. 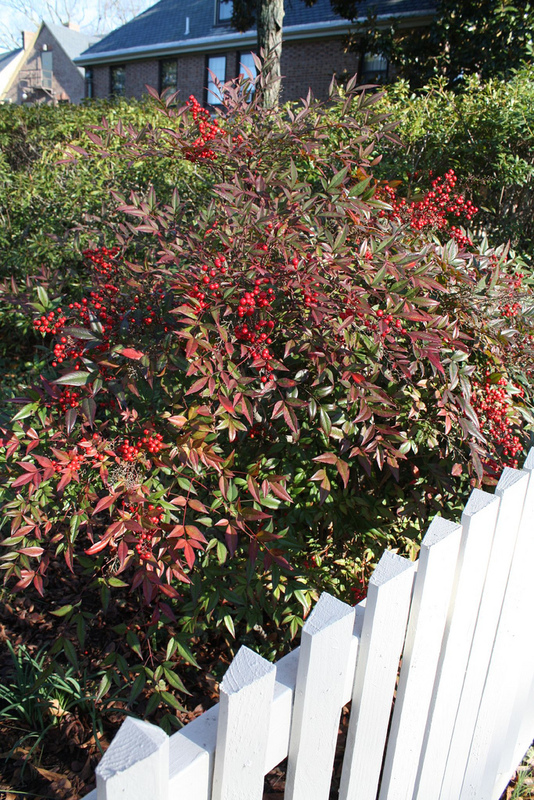 Favorite Dave's Garden quote about Nandina domestica: "PURE EVIL!!!!! Super invasive!!! It is a nightmare to get rid of!! I have probably spent more the 50 hours pulling it all out. The thick, deep root nests were worse then what I had seen with bamboo. An axe would bounce right off them barely doing any damage. I still have bits of it popping up, and even worse some of it must have gotten loose while I was pulling it out and now it's been popping up in my front yard. No weed/brush/vine killer has effected it. I had even tried root rot which did nothing. A lot of sites and garden centers don't say anything to indicate how invasive this plant is. They really need to give people a warning." Favorite Dave's Garden quote about Rosa multiflora: "This plant was introduced to PA by the PA dept of agriculture, who, in their infinite "wisdom" thought it would be a great way of controlling erosion on stream banks. This plant, however, is spread rapidly by birds, and when it moves into an area, it will choke out native shrubs, perennials and any other plants it can push out. I've even seen a large clump of these climbing roses kill a TREE!! The only plants I've seen that can successfully compete with this menace (without killing natives) are bamboo (which, due to it rapid and tall shoot growth can actually penetrate a mass of this bush and ultimately shade it out), and our native trumpet vines (which are just about as good at climbing, rapid growth and spreading by suckers as this foreign invader is). The only effective biological control (other than the aformentioned plants) is some type of blight (that originated, ironically enough, from our native roses) that causes deformed growth on the plant (ala witch's broom), followed by general wiltage and eventually death. I found one good way to take out a multiflora rose thicket, and send it down for the count, is to first use either long-handled pruning shears or a machete (or, in my case I use my longsword) to whack off the outer branches (which can then be either chipped or tossed onto the ol' brush pile), then use a good garden shovel to dig up as much of the roots as you can. I've used this elimination method for well over a dozen multiflora roses on my property, and never had one come back. This plant is considered a noxious weed in PA, so I terminate it with extreme prejudice." Favorite Dave's Garden quote about Rosa bracteata: "The vicious thorns are strong. 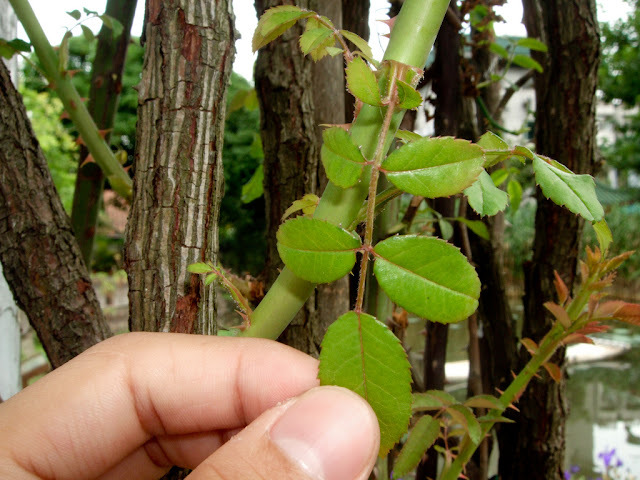 This rose can be very invasive and is difficult to get rid of. Like other members of the rose family, such as dewberries, and blackberries, this rose will resprout from root sections left in the ground." You can read up on the differences with American Bittersweet - C. scandens - to make sure you don't pull a native vine by mistake. 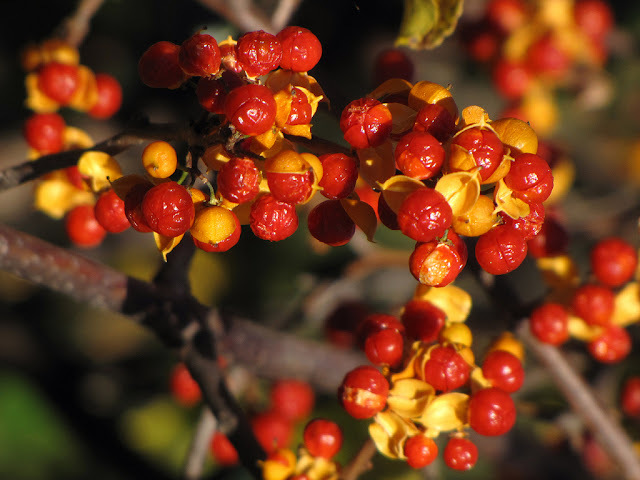 Favorite Dave's Garden quote about Celastrus orbiculatus: "Very invasive! In my yard it would creep underground and pop up anywhere, even as much as 40 yards away from any previously known location, to climb onto and start strangling other plants. After 3 years in the house, I don't think there were any flowerbeds or shrubs that it DIDN'T ultimately attack. When you pull it out by the roots, bits of it break off so it will regenerate later (only solution is to repeat every time you see a new one). Also, if you just lay the roots on the grass to "bake" they'll send new shoots into the ground and regrow, so after weeding you have to lay it onto asphault or something until it shrivels. On an interesting note, apparently slugs thrived on its bright-orange roots, since all the slugs in my garden were orange, and their color reverted after my ongoing anti-bittersweet campaign." 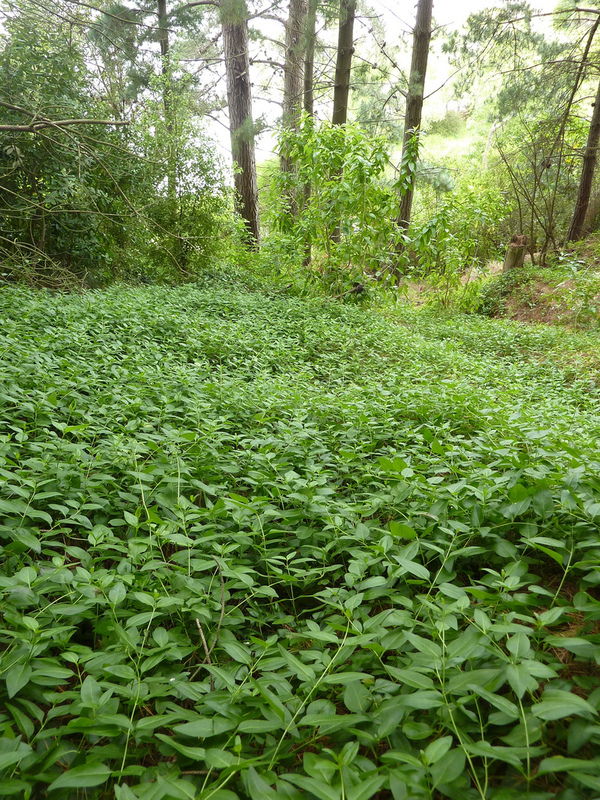 Favorite Dave's Garden quote about Dioscorea bulbifera: "This "weed" is the most horrible thing I've dealt with and it reminds me of Kudzu (from the I-95 corridor). It has taken over the small wet land behind our house and has completely destroyed the Florida pine trees that are ten or twelve stories tall. We had our first "air potato" roundup today and we gathered almost 500 lbs of potatoes. The largest sizes were larger than a softball and as small as a corn kernel. - Dioscorea oppositifolia, Chinese Yam, Cinnamon Vine Note that Eat the Weeds author Green Deane feels that the plant growing wild in the States is actually D. polystachya. He claims that the roots and bulbils are both edible if properly cooked. Given the fact that there are many kinds of Dioscorea, some of which seem to be more poisonous than others, I would advise caution before attempting to consume any wild yams. But if you are the type of person who likes foraging for wild food, Deane's Eat the Weeds blog seems like a good resource. I say "seems" because I can't prove that any of his claims are accurate, but he certainly seems confident in his judgment and the blog makes for very entertaining reading regardless. Favorite Dave's Garden quote about Dioscorea oppositifolia: "This plant is terribly invasive. Each litle "potato" grows. It covers and smothers everything. It is impossible to get rid of. It is a nightmare when it gets loose! I have it places I cannot figure out how I got it there. If you plant it watch it and don't put the potatoes where you don't want them!" Favorite Dave's Garden quote about Dioscorea alata: "Very invasive in central Florida. I have dug hundreds of pounds of tubers out from an area that was full of it where I was expanding my garden. The tubers still would sprout after six months of being held on wooden racks above ground level. They couldn't be put in compost as they would have taken that over as well. Finally, it seems I have it under control after three years of working at it. In my area, it can grow over 50 feet in a season, maybe more. I don't recommend it for anywhere south of latitude 29 degrees." Variegated cultivars such as "Emerald and Gold" may not have the same invasive tendencies. 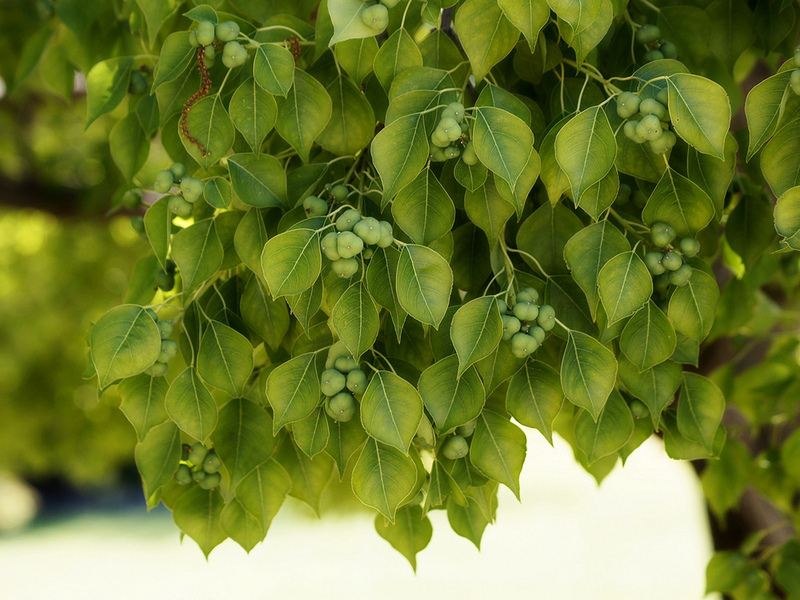 Favorite Dave's Garden quote about Euonymus fortunei: "Do NOT plant this invasive vine. My neighborhood in eastern Cincinnati is OVERRUN with it. When I bought this house, the yard (mostly shade) was completely taken over by wintercreeper, which marches over and through fences and scaled up shrubs and tall trees. Thick (3"-4" diameter) ropes of it girdled tree trunks. It was a nightmare to eradicate - took me two summers of backbreaking labor. Because my neighbors are careless and/or lazy, they allow this invader to take over everything in their yards, and the berries fall into my yard, which means I have to be ever-vigilant to pull up any seedlings. Woods and forests are being choked to death with it. Local nurseries actually sell the stuff. I think it should be banned from sale. It's the kudzu of the southern Midwest." 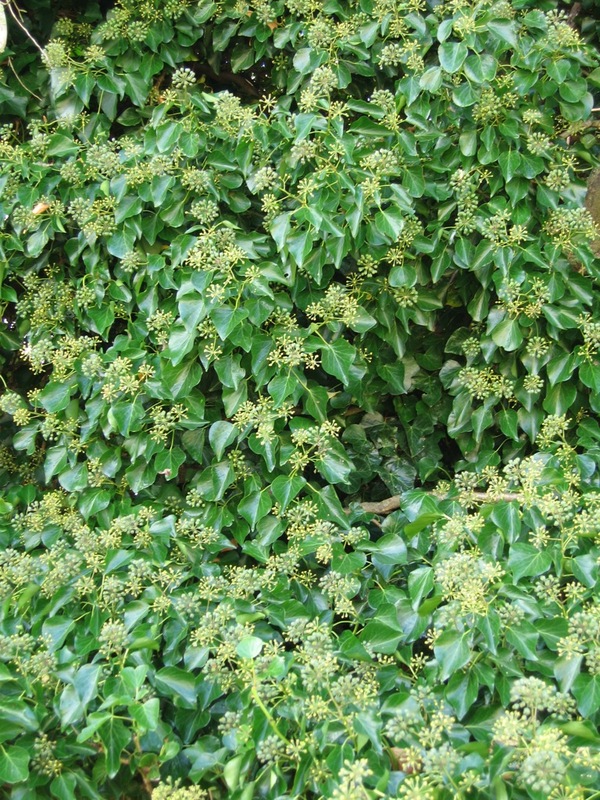 Favorite Dave's Garden quote about Hedera helix: "I love the look of this ivy, but it's a nightmare. Our whole front yard is on a slope and covered in very dense, thick bed of ivy. It is wound all around our trees, and is slowly killing them. A large bush that used to flower doesn't anymore -- it's being killed by the ivy. We trim it, we've tried to eliminate the ivy off the trees to save them but it just comes back. The worst part, though, is that we learned that we had RATS living under our ivy. Every time we do a major trim, what happened? Suddenly the rats freak, scurry out of the ivy and INTO OUR HOUSE. We've had three separate rat professionals confirm this. Now we're also finding that it's creeping under the exterior boards of our house." 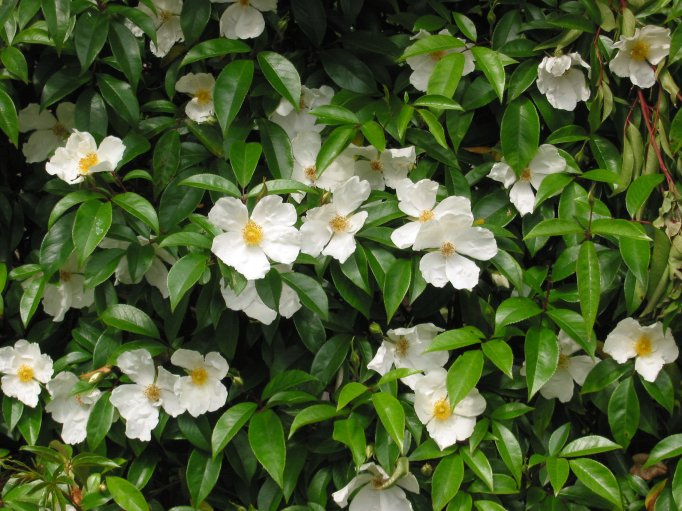 Favorite Dave's Garden quote about Lonicera japonica: "This is a horrible invasive smothering vine. It's taking over and killing forest understories in many places in Eastern Kansas and Western Missouri. It will grow over and kill just about anything in it's way. I'd never tolerate, much less plant, it in my yard." Favorite Dave's Garden quote about Pueraria montana: "This plant is not only impossible to kill, but destructive. I'm not talking about trees or other plants (although I've seen it of course) but it BROKE my fence. Yes, you heard right, it broke my fence, and is working on my neighbor's. (He hates the kudzu, but I think he's given up fighting it. I don't blame him.) I will never, EVER recommend ANYONE plant this for ANY reason, and that includes erosion control. It's not worth it. Let the land erode. Just don't plant kudzu. I've sown almost one metric ton of salt into my lawn on the kudzu areas, and that didn't kill it. My backyard caught on fire (long story, stupid neighborhood kids) and all the kudzu was 'destroyed'. It was a huge fire; had about 3 fire trucks parked in my front yard to put it out. (I have a large property). Well guess what? It's back, and 'better' than ever. Unless I can get my hands on some Agent Orange, all I can do is hack at it with my machete and hope for the best. I hate this plant with the burning intensity of a thousand suns, although the heat emanating from that many suns would hardly kill it." Favorite Dave's Garden quote about Vinca minor: "The flowers are apparently not attractive to insect pollinators and subsequently receive very few visits, if any. 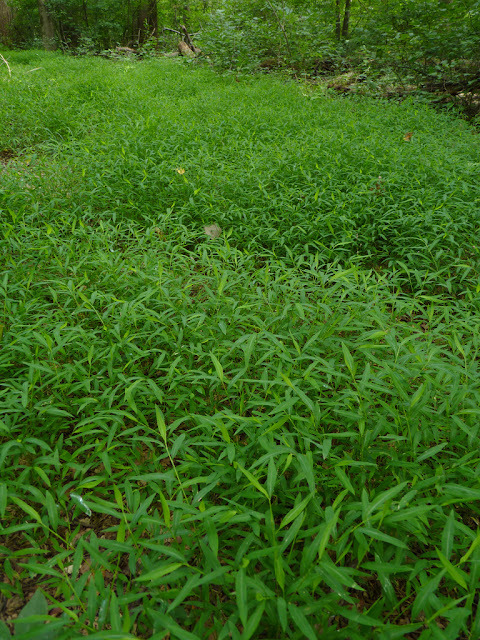 Foliage is toxic to herbivores and if the occasional seed is produced it is too small to be of interest to any wildlife. It does, however, provide cover (but not food) to various small animals. Overall, Vinca has very low ecological value. Unfortunately it has a propensity to escape into shaded woodlands where it may crowd out native species. People planting this species should keep this in mind." Favorite Dave's Garden quote about Vinca Major: "I have both vinca major and minor in my yard. 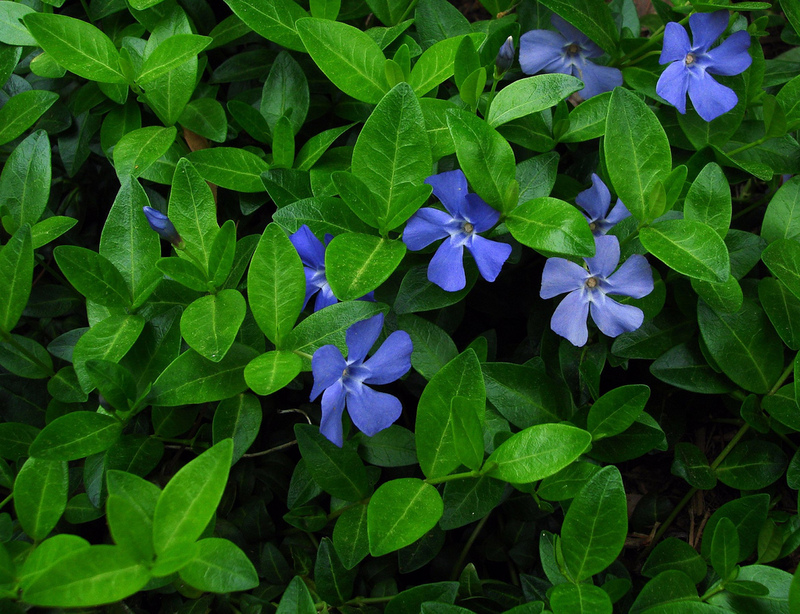 Vinca major is the much more invasive of the two, growing over it's smaller sibling anywhere the two meet. Let me put it this way: you know a plant is invasive when it chokes out the baby bamboo that's randomly growing in your flower bed... I've pulled out a pile that overflowed a wheelbarrow, but unfortunately that was just one 10 x 2 ft area." 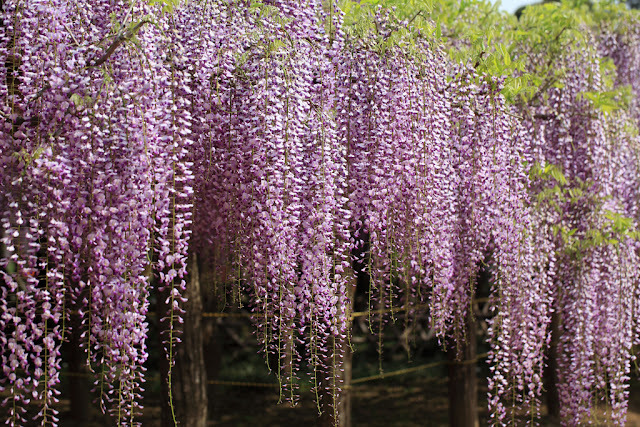 Favorite Dave's Garden quote about Wisteria sinensis: "If you are considering acquiring this plant, first check to see if it is invasive in your part of the country. There is much information about invasive species on the internet or from your native plant society. Much expense is incurred in attempts to remove it from roadsides, parks and other natural areas. It kills trees and all native undergrowth thus affecting the entire ecosystem. You may feel you can control it in your yard, but you don't see what happens in all the natural areas where the birds deposit its seeds. 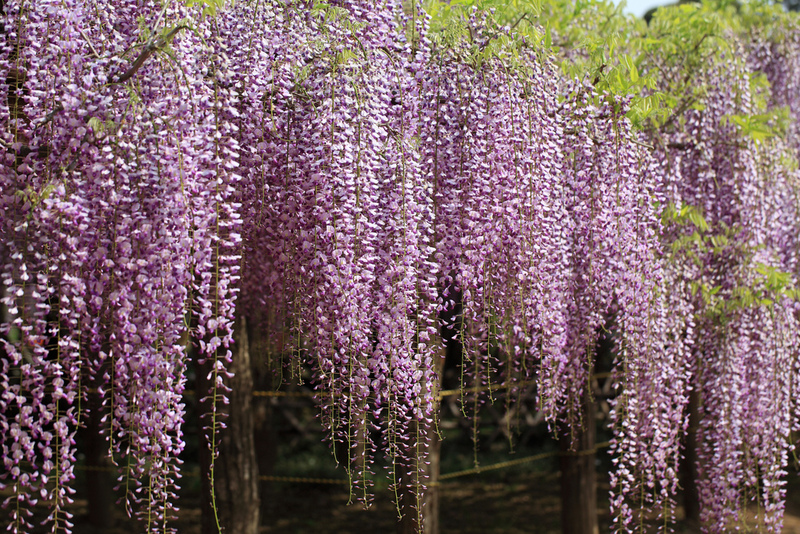 There are native wisterias, frutescens and macrostachya, that are not invasive or such strong growers that they can kill large trees and are very attractive." 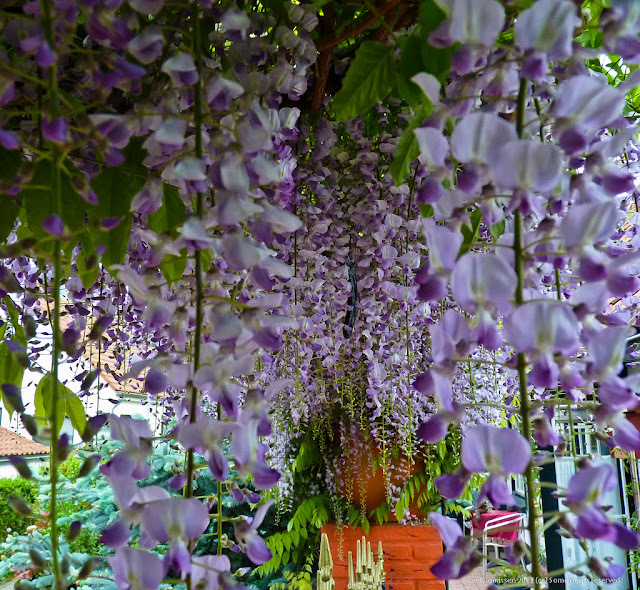 Favorite Dave's Garden quote about Wisteria floribunda: "I do not recall exactly when my mother planted this monster in their back yard, it has been many years back. This vine is now very "jungle" like. The base going around certain trees is several inches (3 or 4) in diameter and the "thing" just keeps on invading. I have seen it put out long (12' to 15') shoots along the ground in a spring and early summer. Please be careful when you select the vine for planting. It is beautiful in full bloom but may require a lot of space for spreading." Favorite Dave's Garden quote about Arundo dorax: "It is a perennial grass that can grow to over 20 feet tall. Giant reed propers in well drained soils where abundant moisture is available such as streams, ditches and riverbanks and grows in many soil types from heavy clays to loose sands. It has fleshy, creeping rootstocks which form compact masses. Its tough, fibrous roots penetrate deeply into the soil. Giant reed root and stem fragments can float for miles and may take root and initiate new infestations. It has a rapid growth rate which makes it possible for it to quickly invade new areas forming pure stands. Giant reed can outcompete and completely suppress native vegetation once established and it is very difficult to remove. It can choke riversides and stream channels, interfere with flood control, increase fire potential and reduce habitat for wildlife. In addition, the root mats form natural dams causing debris to collect behind culverts, bridges and other structures which lead to structural damage. Giant reed can increase the potential for fires because it ignites easily." Many lawns in Tennessee, including my own, are fescue-based, although I'm not sure if they use this invasive tall fescue specifically. Favorite Dave's Garden quote about Imperata cylindrica: "This plant is very dangerous to our ecosystem! It's taking over the south & now banned in South Carolina. 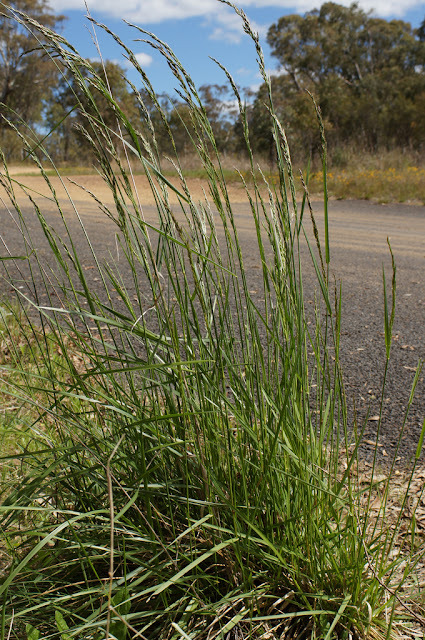 It chokes out native vegetation & burns very easily & very hotly." 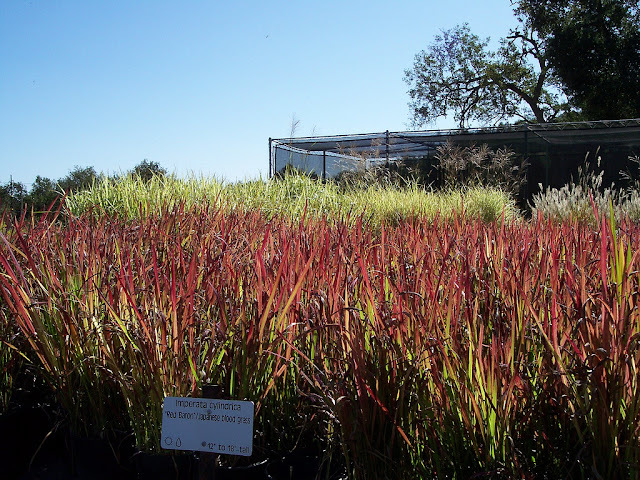 Favorite Dave's Garden quote about Microstegium vimineum: "Horribly invasive grass. 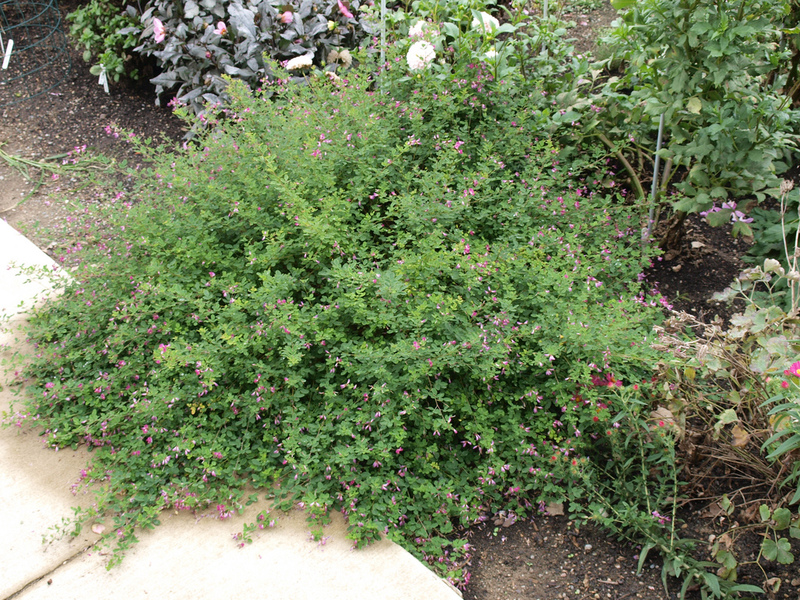 Spreads both by above-ground rhizome and seed...Loves disturbed soil. Able to displace native wetland and forest understory vegetation with its dense, expanding monospecific patches. 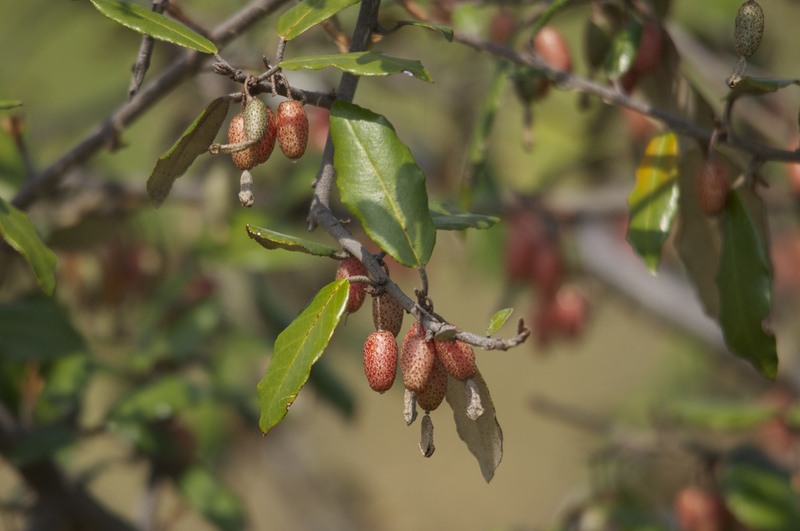 Once established, the removal of M. vimineum requires major eradication and restoration efforts. Likes low-light levels unlike many other grasses (5-50%)." 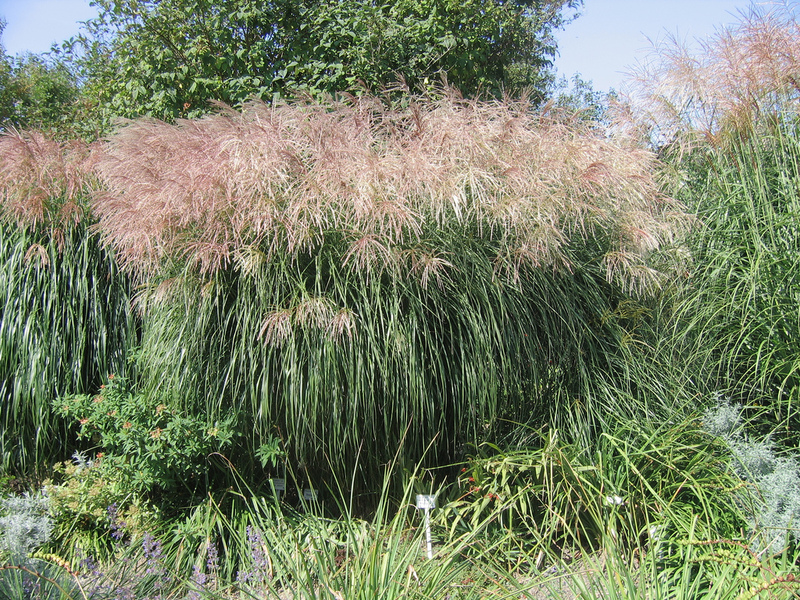 Favorite Dave's Garden quote about Miscanthus sinensis: "This plant is highly invasive. I have seen it take over hay fields, roadsides and just about everywhere else. In my opinion it should be avoided at least in Zones 6 and 7, where it appears to be most destructive to native vegetation." Favorite Dave's Garden quote about Phyllostachys aurea: "This was one of my first bamboo, when I didn't know any better. 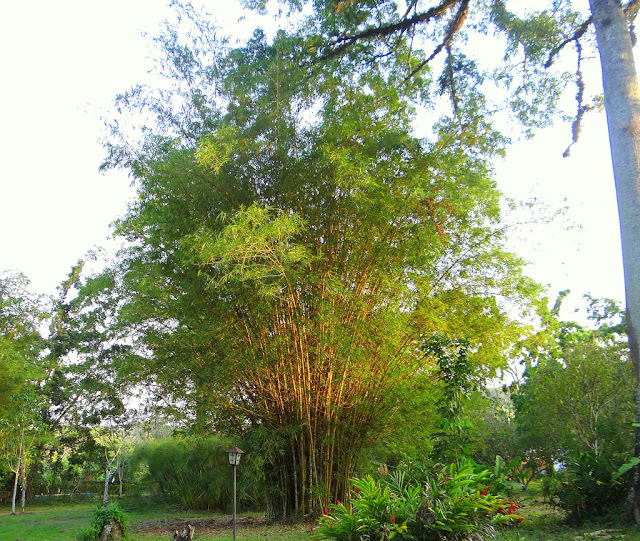 Since then I have planted ove 30 species of bamboo in my old yard, but this is only one i have regretted. 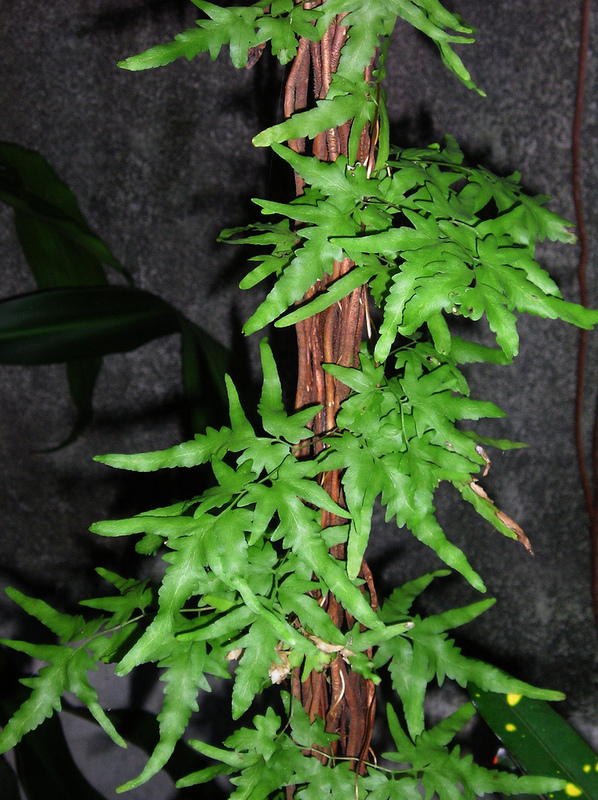 This is one of the most commonly grown bamboo in cultivation- easy to find and cheap. It is easy to grow, too...a bit too easy. It it a runner of the number one calliber. It is SO invasive it's scary. I planted this at one corner of the yard a ways from everything thinking no problems (had over 1/2 acre), but it shows up 10-15' away from its source. And then each of those take off. Usually I just snap off new culms that show up here and there, but these are remarkably resilient and even when bent at 90 degrees, it keeps on growing. Hard stuff to kill!" Favorite Dave's Garden quote about Lygodium japonicum: "This is an invasive non-native plant. It is nearly impossible, if not completely impossible to control its spread because the means of propagation is spores from spore sacs on elongated parts of the leaf that are wind dispersed. The spores can also be transported to new locations on your vehicle, clothes, or in pine straw bales. In the forest it can form mats on the ground that can outcompete native vegetation, thereby drastically altering habitat quality. If left unchecked it can grow up into the tree canopy providing "ladder fuel" when it dies back for a crown fire versus a surface fire in a wildfire or a prescribed fire situation. As one person commented --- it's an EVIL weed -- pretty but very destructive." Favorite Dave's Garden quote about Alliaria petiolata: "If I lived in an area where this plant was native, I would love it. Unfortunately, here in the U.S. it is non-native, invasive and destroying our forests. I've been battling this like crazy in my woods. It's a biennial plant -rosette first year, flowers & sets seed in second year. - Garlic mustard spreads into high quality woodlands upland and floodplain forests, not just into disturbed areas. - Invaded sites undergo a decline on native herbaceous cover within 10 years. - Garlic mustard alters habitat suitability for native insects and thereby birds and mammals. - This European exotic occurs now in 27 midwestern and northeastern states and in Canada. " In a nutshell, it chokes out the native plants. Trouble with that is your wildlife, birds, insects have evolved since beginning of time to live on the native plants, not garlic mustard. When you wipe out the native plants, you do a good job of wiping out the native wildlife. 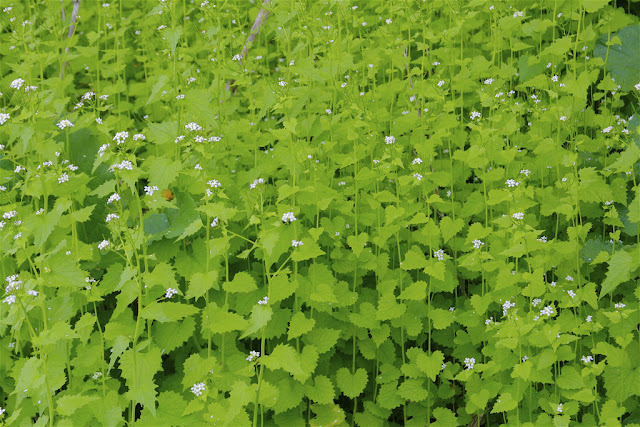 They say garlic mustard is creating "starvation forests" for wildlife in the U.S. Here's an article that addresses the issue with some humor: http://jackfsanders.tripod.com/garlicmustard.htm"
Favorite Dave's Garden quote about Solanum viarum: "I wouldn't say it is a "success" in my garden, although it grows plenty well enough even with my constant cutting, pulling, trimming, dousing with chemicals... LOL. This is a major weed, and the only way to get rid of it is to keep constantly on top of any new growth.... and this may take several years. This plant "attacks" and causes an itchy skin irritation. My father grabbed a plant by mistake and his hand was completely covered with redness and swelling for the rest of the day and into the next! BE CAREFUL!!" Clematis Make Great Cut Flowers! Meet the New Front Foundation!